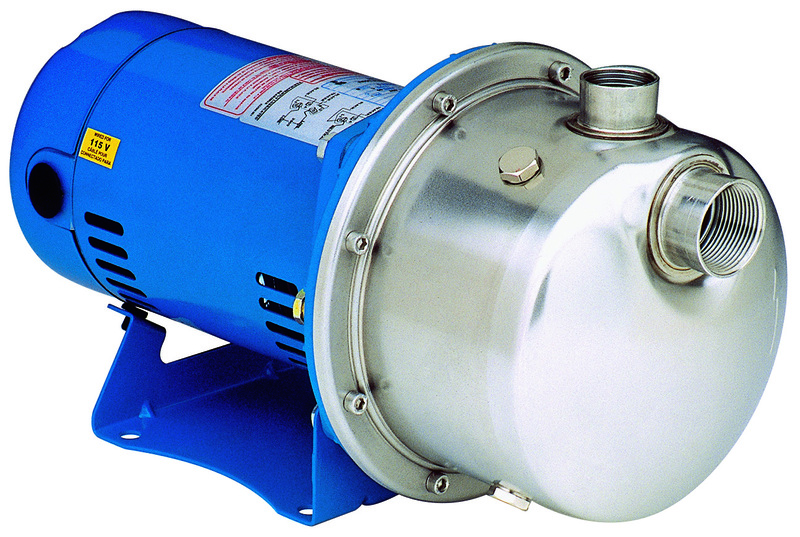 High Head Water Boosting: The LB booster pump provides an economical alternative for small booster sets with flow requirements up to 18 GPM and heads up to 190 feet. Casing: Stainless steel construction with NPT threaded, centerline connections, easily accessible vent, prime and drain connections with stainless steel plugs. Engineered Thermoplastic Internal Components: Impellers, guidevanes and motor adapters are high strength and light weight engineered composite. Mechanical Seal: Standard John Crane type 6 seal with carbon ceramic faces, BUNA elastomers and stainless steel metal parts. Motors: NEMA standard 48Y and 56Y open drip proof enclosures with optional single phase, three phase or 575 volt TEFC configuration.